The Re-Imagine the Occupy Oakland General Assembly Working Group is coordinating a gathering (or series of gatherings) to “Re-Imagine the General Assembly." We envision that planning a conference of the scope takes a lot of work, and the work of this group is to plan the gathering(s). (5) Outreach to the greater OO community." - Working Group: The Working Group will meet to plan the Gatherings, and will not be addressing specific changes to the GA, which will be done during the Gatherings. The working group will make regular reports to the community at the General Assembly, and meeting minutes will be available online. 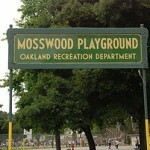 The Working Group meets every Friday from 6:00-8:00pm at the Holdout (2313 San Pablo Avenue, Oakland, CA 94612). - The Gatherings. In these large events, anyone in the community can participate in bringing and incorporating our desires, ideas, and solutions, as together we create and design a re-imagined GA. This will likely be done in stages. Invitations to the Gatherings will be distributed widely. The first Gathering will be held on June 16. 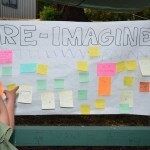 At any time, you can send your ideas, suggestions, desires to reimaginethega@occupyoakland.org. July 20, 2012 at 10:48 pm. July 7, 2012 at 10:43 pm. June 21, 2012 at 9:45 am. June 17, 2012 at 8:08 pm. June 10, 2012 at 1:10 pm. June 8, 2012 at 9:56 pm. 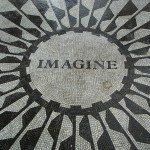 Re-Imagine the GA Working Group Meeting at New Location! May 12, 2012 at 9:44 am.